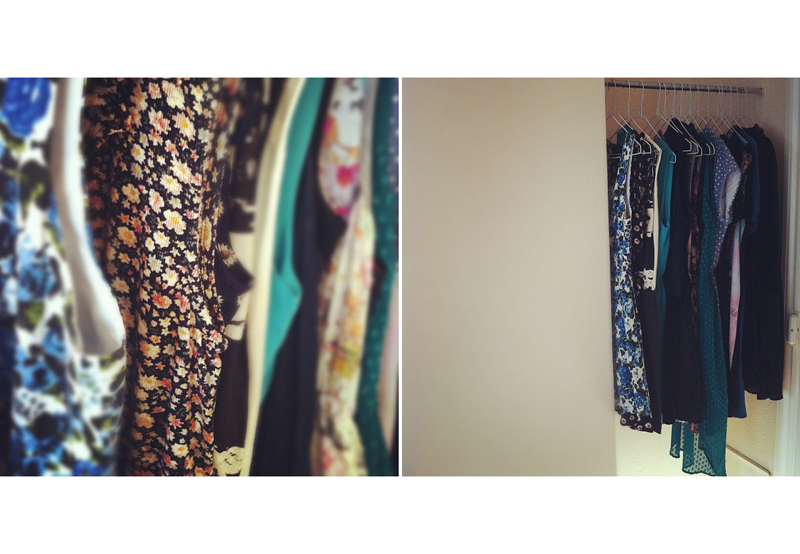 LEFT: Packing. RIGHT: A first look at my new room. Wow, yesterday I moved to London! I still have to visit Southampton next weekend to grab the rest of my things, but I'm pretty much all settled in...apart from the bulging bag of clothes on the floor that still needs ironing, sigh. 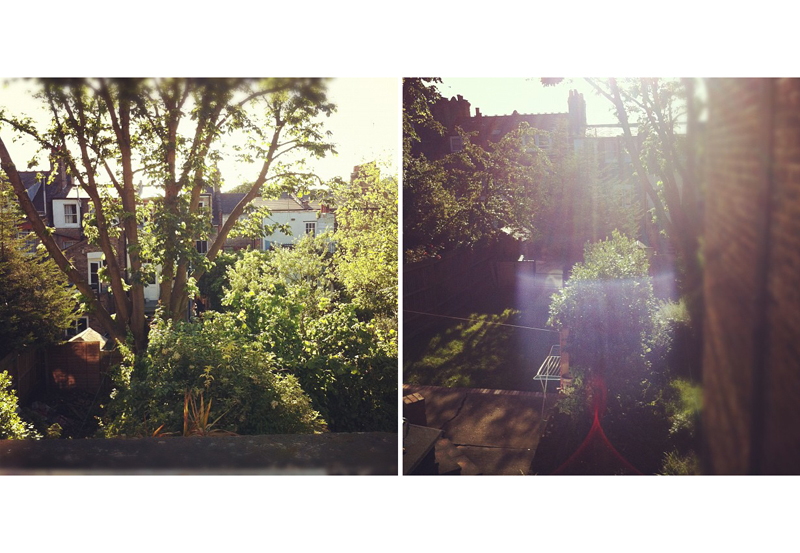 I'm living in an area of North London and it truly is lovely! The flat, (which I share with four other people), is bright, spacious and, after we'd scrubbed away at it for a few hours, clean. Also, the area itself is great; I live just five minutes from the train station and five minutes in the opposite direction takes me to a few roads of quaint little cafes, quirky bars and trendy restaurants. I'm interested to see how quickly I settle in to my new routine...it should only take me 40 minutes to get to my internship now. The next thing on my to do list is to find a job! I'm going to look for something part time near to where I live so that I can earn money whilst not interning, or alternatively if I do come across anything full time that's relevant to what I would one day like to do, I will apply to that to. Wish me luck! 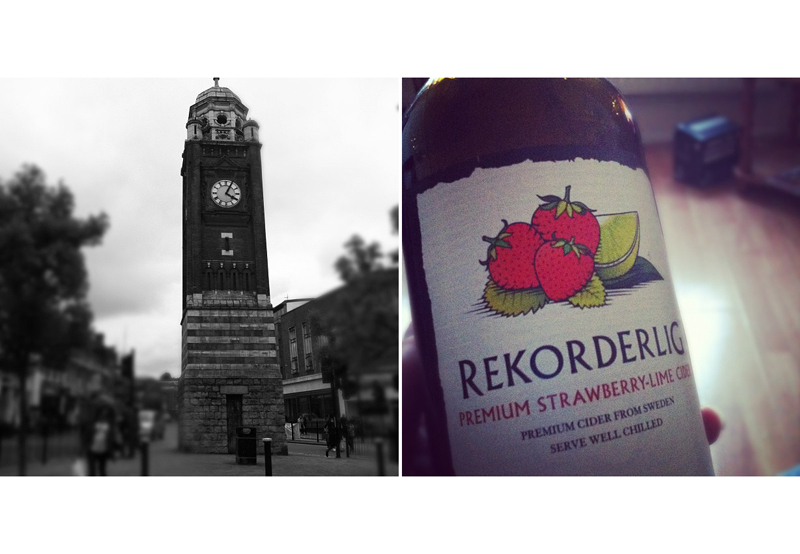 LEFT: The Clock tower in Crouch End. RIGHT: Treating myself to a Rekorderlig on my first night in the flat. I'm really sorry if my blog looks a little neglected at the moment, I assure you I have not abandoned it, I am just a busy bee moving and whatnot and I don't have internet in my new flat! (I'm using a dongle, sigh). I have some great new outfit posts scheduled and even a giveaway so I hope you'll enter! Oh, and don't forget to please support me in the Elle magazine competition. I really do appreciate it. Wow, it sounds like a lovely place to live :) I've always thought of moving as quite exciting, but the packing and unpacking is just the worst! As I wrote to you in a tweet, best of luck in London! I used to live in North London and I absolutely love that area! Looks so nice Toni! Wishing you luck on settling in! Almost makes me want to leave Gothenburg and move to London. It's really beautiful! I was surpised by the swedish cider, feeling a bit proud it made its way out into the world. I'm moving to London next month too... but for me is going to be more shocking, I'm leaving Spain behind for the first time in my life to settle in a new and very different place!! Anyway it is VERYYY exciting.